An M1025 HMMWV in Mogadiscio, Somalia, during “Restore Hope” operation in 1993. 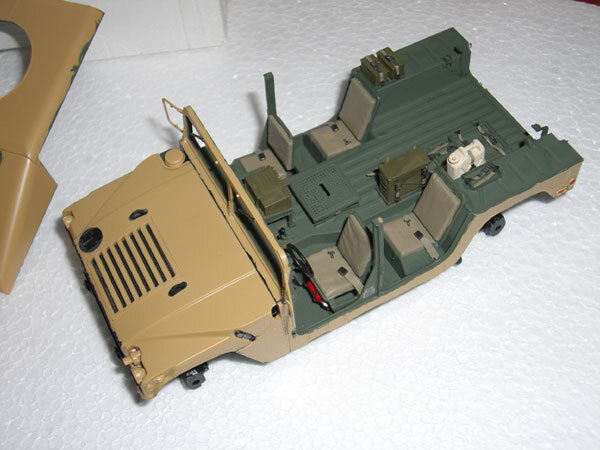 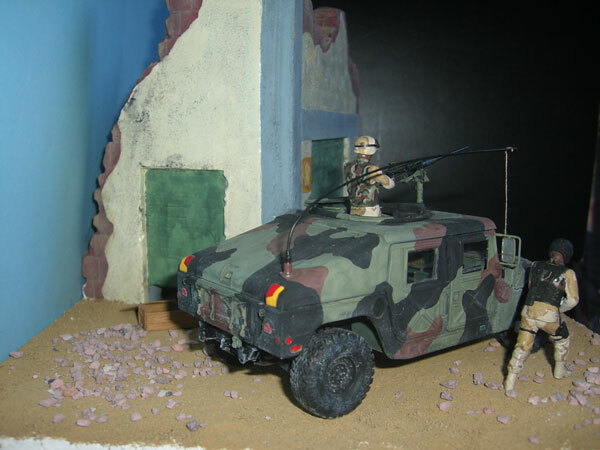 The Tamiya M1025 base kit has been detailed with photoetched parts from the Eduard kit “M-1025 Humvee” (p/n 35629). 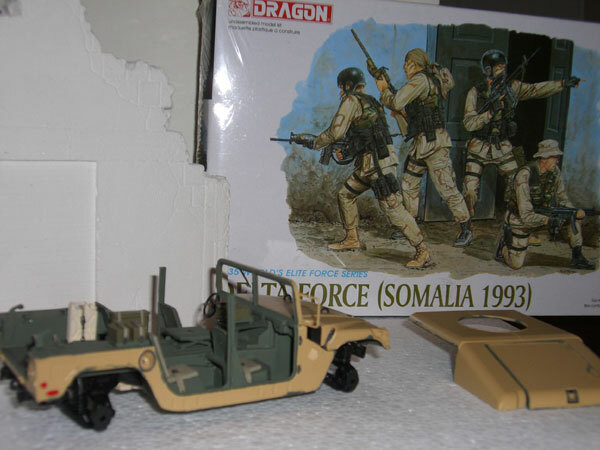 Figures are from Dragon kit “Delta Force” (p/n 3022). 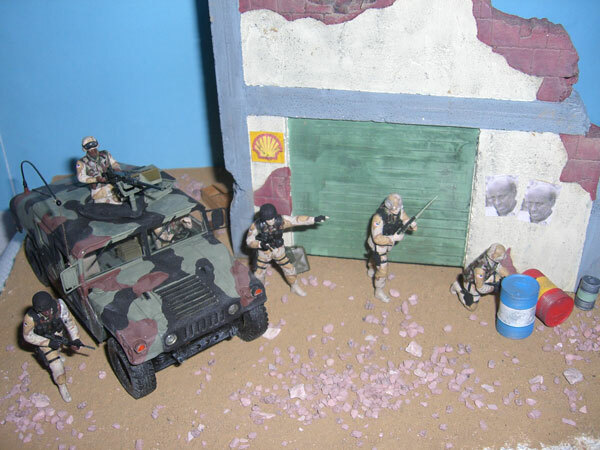 I’ve applied to the figures decal patches by Echelon Fine Details “US Army & USMC Patches, Insignias & Ranks” (p/n P353001), a sheet I strongly recommend. Building is from Verlinden kit “Streets of Beirut” (VP190). 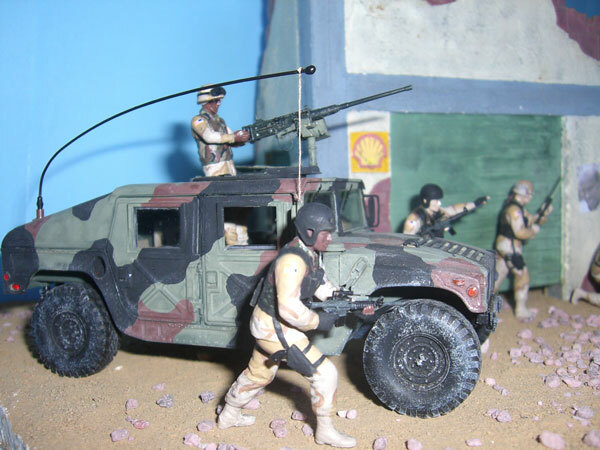 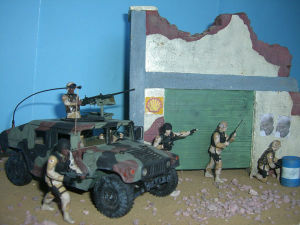 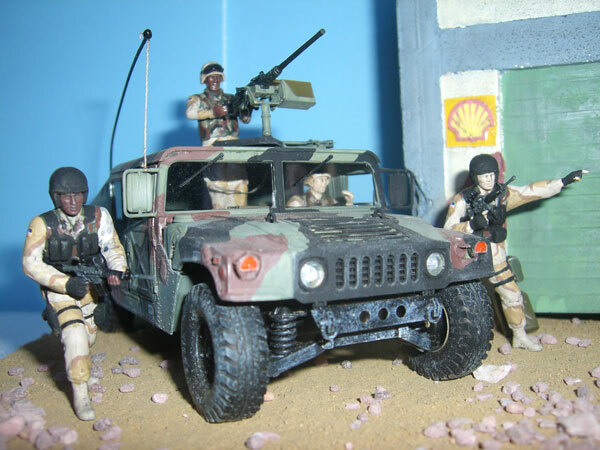 I’ve also added accessories from the Tamiya kit “Modern US Military Equipment Set”. 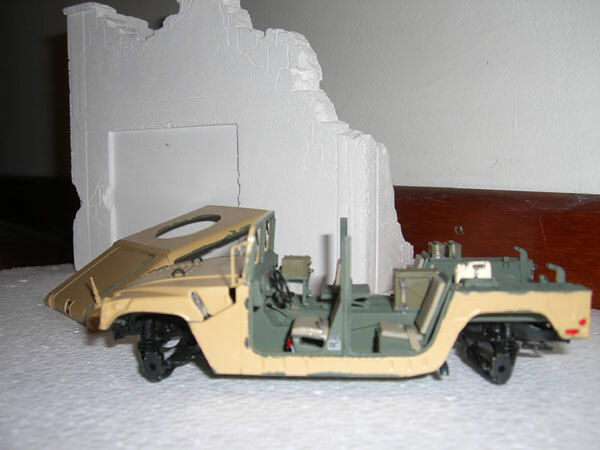 Drums are by MIG Productions, “Striped Drums” (MP 35-109) kit, in my opinion an outstanding quality add-on. 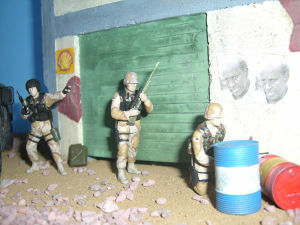 Here below some pictures during the construction phase.